Another key area covered by the survey is the free schools programme and academy expansion. There is strong support for greater powers for local authorities in relation to school places planning. A large majority of parents (77 per cent) believe that local councils should have the final say in the location of new schools within their authority boundary. Furthermore, 81 per cent of parents think that local councils should be able to influence schools in their areas to find more places or expand, an opinion that has become more prevalent since 2013. Support for the idea that academies should be forced to expand if the local council requires it has increased over the last five years, with 49 per cent of parents agreeing with this, and only 33 per cent opposing. 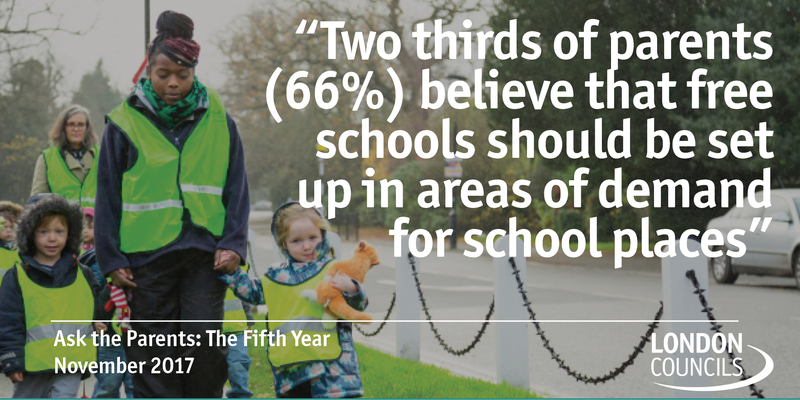 In terms of priorities in relation to the free schools programme, two thirds of parents (66 per cent) think that free schools should be set up in areas of basic need. A similar number (65 per cent) would rather the government invest more in existing schools in an area with no demand for additional places than create a new school in order to increase choice. Overall, support for academisation has decreased over the last five years, with the proportion opposing an increase in the number of academies and free schools now exceeding the number who support this (35 per cent versus 29 per cent).